When it comes to talent, they say that it sometimes runs in the family. Whether it’s singing, solving math equations, or being excellent businesspeople, there’s an element of influence that affects many of the children. In terms of writing, there is one family in Japan that produced 3 brothers who all grew up to be prolific national authors; and these men are Arishima Ikuma, Arishima Takeo, and Hideo Yamanouchi (otherwise known as Satomi Ton). Among the three brothers, Hideo Yamanouchi was the youngest. 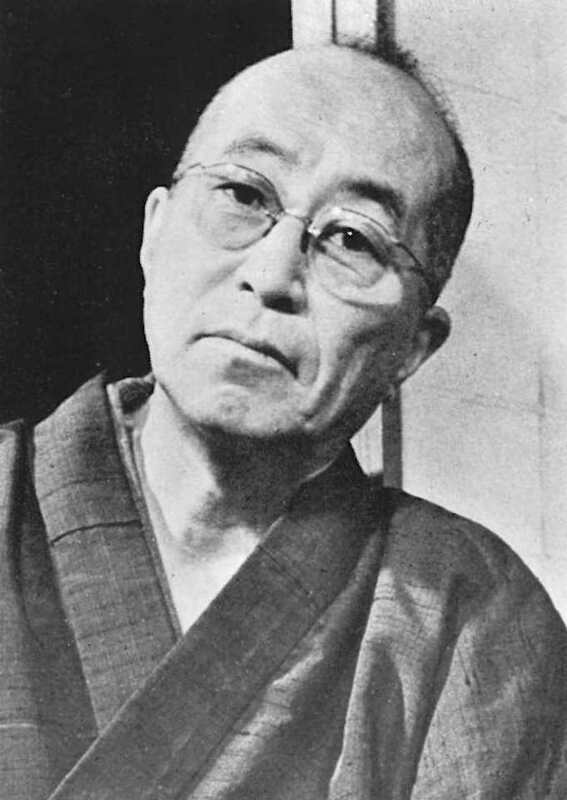 Hideo Yamanouchi was born on July 14, 1888, in Yokohama, Japan. The reason Yamanouchi did not share the same name as his brothers is that his mother had legally adopted him, thus changing his name to what his mother’s surname was, unlike his two older brothers. Written in Japanese as “里見 弴”, Satomi Ton (though they call him Ton Satomi in the west, as the last name is written at the end of the name) is Yamanouchi’s pen name. Satomi Ton’s grasp on the Japanese language is what earned his spot as a recognized writer, creating exceptionally executed dialogue for his novels and short stories. He supported the Shirakabaha literary movement. On January 21, 1983, Satomi Ton passed away in Kanagawa Prefecture’s Kamakura city, in Japan. He was 94 years old. Kamakura Reien Public Cemetery is where his remains lie. Being born into the Arishima family gave Satomi the fortune of having enough wealth as he grew up. Satomi’s father was an ex-samurai and was working as an official in Japan’s Ministry of Finance, giving him an extra leg up in terms of education and connections in the newly-globalized Japanese society, with the country having just freshly entered the Meiji Restoration Period. His first school was the Gakushuin Peers’ School, which is notable for having been one of Japan’s schools that catered to aristocratic and well-to-do families who sided with the Imperials. It was in this school that Satomi sparked his curiosity for literature. Satomi later began studies at Tokyo Imperial University, however, he did not complete his course, and quit schooling in 1910. Satomi Ton was close with his older brother Ikuma Arishima, who was 6 years his senior. Because they had both studied in Gakushin Peers’ School, Satomi formed friendships with his brothers’ peers as well who were known for being budding authors way back in their earlier years in school. These writers all came together – including Satomi Ton – to form a group that was called “Shirakaba-ha”. What Is the Shirakabaha Literary Movement? 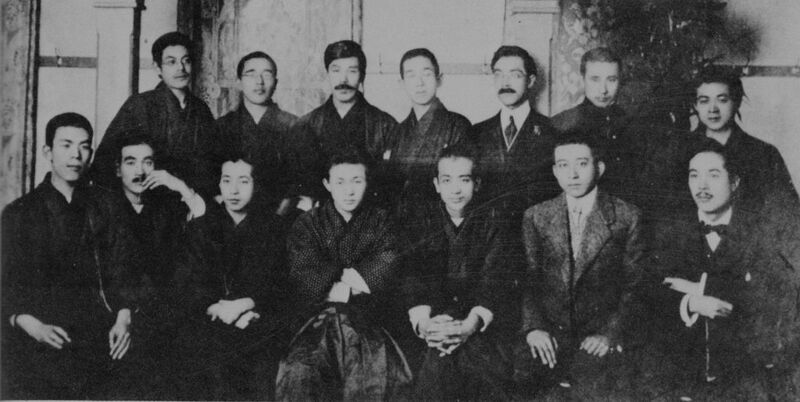 The Shirakabaha, in Japanese “白樺派”, and in English the “White Birch Society”, was literary movement and society that was launched by a group of men who had studied together in Gakushin Peers’ School. The group was named after “Shirakaba”, a literary magazine that was influential during that time. The group was active beginning 1910, was most famous around 1918, and stopped publishing in 1923 when the Great Kanto Earthquake struck. It wasn’t only writers who got to join the group, it was open to other literary critics and artists as well, as long as they shared the same beliefs of being open to modernization. They promoted many western styles and aesthetics, such as humanism, individualism, and naturalism, along with post-impressionism and expressionism. They were against Confucianism and wanted to break out of the box that Japan’s traditional literary and artistic styles imposed. It was part of Shirakabaha’s mission to spread western culture in terms of art and literature around Japan, as its members were highly inspired by them. Keep in mind however that although the group was open to new ideas from the outside world, particularly the west, they were still very much highly respectful of non-traditional elements of their native culture, such as folk art. Members who initially joined the group include Satomi Ton, his brothers Arishima Ikuma and Arishima Takeo, Mushanokoji Saneatsu, Shiga Naoya, Nagayo Yoshiro, and Yanagi Soetsu. 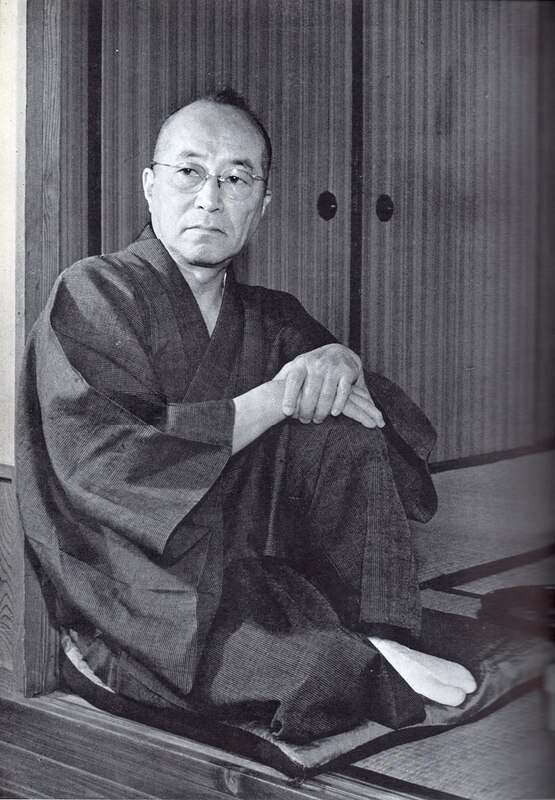 The kinds of work that they would publish belonged to the genre, “I novel” or “Shishōsetsu, Watakushi shōsetsu” (私小説), which is a style of writing where the author talks about his own experiences and life, much like a confessional. It was Satomi himself who said when he was thinking about using a pen name, he used a telephone directory and simply chose any names that caught his attention. When he was younger, he would often go with his author-friend Naoya Shiga to one of the most famous brothels or “yukaku” of the Edo period; “Yoshiwara”. He then met a woman who worked as a former Geisha. Her name was Masa Yamanaka, and she hailed from Osaka. Satomi Ton was so in love with Yamanaka that he would talk about the story of their relationship in two novels, namely Tajo Busshin (多情仏心) and Kotoshidake (今年竹), but these were not his most popular works. 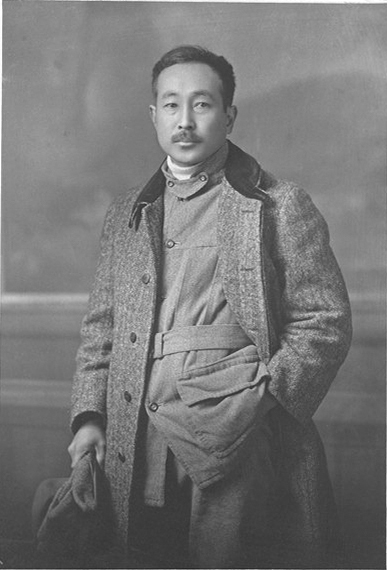 The writer would continue to produce more pieces, but none of them would really strike a chord among readers until he wrote Chuokoron in 1915. He was spotted by a novelist Kyoka Izumi (whose real name is Izumi Kyotaro), who took Satomi under his wing. Despite his membership in the Shirakabaha, Satomi was never the type to be extremely devoted to a certain theme, cause, or side of politics. What he was, instead, known for, was his articulate style of writing, his autobiographical pieces, and how his messages would clearly be iterated to his readership, thus influencing them. “Tsubaki”, or “Camellia” is what made Satomi Ton popular in the west. The book has some disturbing tones to it, perhaps reflecting the state of mind of Satomi, as two major tragedies had struck. The first one was the suicide of his eldest brother, Takeo Arishima in 1923. In September of that same year, the Great Kanto earthquake did a number on Kanto, devastating, and destroying residential, historic, and sacred buildings in its path. Satomi started working at Meiji University as an instructor 1932 onwards, and in 1940, won the annual Kikuchi Kan Prize. The Kikuchi Kan Prize is usually given to someone who meets the criteria of having achieved the Japanese Literary culture in all major aspects. It was 5 years after he received this award that he teamed up with Yasunari Kawabata and wrote the book “Kamakura Bunko”. In 1947, the Japan Art Academy added Satomi as one of its members. Fast forward 11 years, and Japanese film director Yasujiro Ozu creates a film based on Satomi’s novel called “Higabana”, or in English, “Equinox Flower”, with actor Kinuyo Tanaka and Fujiko Yamamoto. It dealt with the life of Wataru Hirayama, who was a rich businessperson. It was also in 1958 that this movie would win the Blue-Ribbon Award, thanks to actress Fujiko Yamamoto’s stellar performance. This further launched Satomi’s novel (as well as Satomi) into fame. The Japanese Government granted Satomi the “Order of Culture” in 1959. The Order of Culture is something that is awarded to someone who is known to have made important contributions to Japan’s culture, be it art, science, literature, or others. The next year, Satomi’s novel “Late Autumn” was published. Late Autumn was, just like Equinox Flower, adapted into the film. Although the film didn’t win any awards, it is a favorite among many critics. The drama starred actors Yoko Tsukasa and Setsuko Hara. The Yomiuri Prize, another literary award given to those who have helped contribute and develop Japanese culture, was given twice to Satomi Ton; once in 1956, and then again in 1971. After that, life was pretty quiet for Satomi. He stayed in the town of Kamakura, in Kanagawa Prefecture for 59 years, and was very well-acquainted with the residents of his city, especially those who were writers just like him. He would work with Yasujiro Ozu on more movie scripts, as Shochiku movie studios were established in an area upwards of Kamakura. In all of Satomi’s life, he created four of his works are considered his major contributions. These are “Good Heart Evil Heart”, which in Japanese is “Zen Shink Aku Shin”, “The Anjo Brothers”, or in Japanese, Anjo no Kyodai”, “The Compassion of A Buddha” or “Tajo Busshin” in Japanese – published 1922-1923, and lastly, “A Carefree Fellow”, or “Gokurarku Tombo”, published in 1961. So far, there seem to be 3 (4, really, but one of them is just in a different language) accessible books that you can get your hands on (online or hopefully in a library) if you want to read the work of Satomi Ton, particularly if you live in the west, or if you speak English. The others would have to be imported from or purchased in Japan, and you would have to be able to read Japanese. There’s “Blowfish” from “The Oxford Book of Japanese Short Stories,” “Autumn Wind and Other Stories”, and “Modern Japanese Stories: An Anthology.” All of these books are essentially collections of classic Japanese stories. The Oxford Book of Japanese Short stories has 35 short stories, all written by different famous Japanese writers. Only one of them was written by Satomi Ton, and that’s Blowfish. The book can go for as low as 9.99 GBP. Different versions of “Modern Japanese Stories: An Anthology. “can go for as low as $3 if you buy the used paperback option, but the brand new paperback version of the most reliable copy goes for about $19.95 on Amazon. He is also featured among 13 other Japanese writers in “Autumn Wind and Other Stories”, and you can purchase this book for $9.99 on Kindle, or $16.50 for the paperback version. Each of these books is registered on Goodreads, with The Oxford Book of Japanese Short (published 1997) stories having the highest rating of 4.14 stars, reviewed among 396 raters. Next in line is Modern Japanese Stories: An Anthology (published 1962) with a rating of 4.05 stars, reviewed among 91 raters. Autumn Wind And Other Stories (published 199) ranks at 3.56 stars among 5 raters. Being born on July 14, Satomi Ton’s zodiac sign is Cancer. Aside from being the writer of 3 films that were adapted from his works (the story of Kotoshidake, Late Autumn the Novel, Equinox Flower’s original story), he was also an actor for a short called “Gendai Nihon Bungaku Junrei”, which was produced in 1927. Brushing up on the work of a country’s highly revered writers truly gives you a glimpse of what the nation was once like and educates you on the culture of a country that may not be your own. Take this chance to grab a good book written by a Japanese author – whether it’s Satomi Ton or a different artist. Take the time to read even just a short story on your tablet. Cozy up with your book on a cold December day, or sit under a tree and start reading during a Sunny day in June; marvel at how different stories were written long ago, in a world that was very different from what it is today.